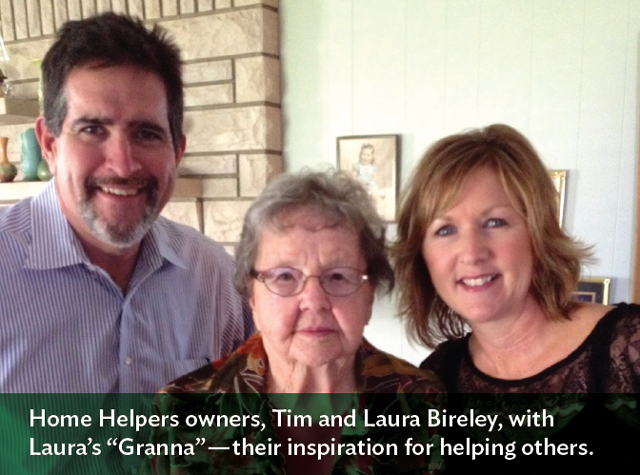 At Caring Hearts, we meet families every day who are struggling to care for aging loved ones. These daughters, sons and spouses describe how they can’t enjoy their family relationships any more because their caregiving duties are overwhelming them. My friends and colleagues, the franchise owners of these local Caring Hearts offices, are on the front lines of this issue. They’ve been gracious in sharing their experiences with me, and today I’d like to share some of these stories with you in the hope that they might help anyone currently struggling with the Caregiving Dilemma. A caregiver at Caring Hearts of San Mateo with her care client. Sam Sellers, the owner of Caring Hearts of Little Rock, Arkansas, had similar words to share. Recently, two different cases of the Caregiving Dilemma walked in his door. In the first instance, it was an older woman whose husband was living with Alzheimer’s disease. In the second, a woman’s mother had fallen and broken a hip, and her father was in the later stages of Alzheimer’s.